Great little blues harmonica, awesome sound for such a great price. Not the usual Chinese cheap harmonica this is an American designed model with a light aluminium caseing and a standard plastic comb with ten holes in the key of C, all standard size. It has a suprisingly sweet tone and is way more airtight than dozens of blues harps I have tried. This makes it easier to play and learn to bend those notes. What harmonica for a beginner? Best key harmonica? 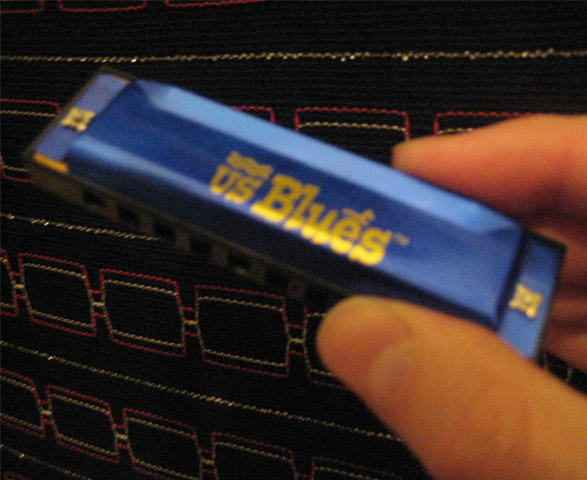 These are popular learner questions, this blues harmonica is the answer. If you want a cheap harmonica without cheap performance you are looking at it.